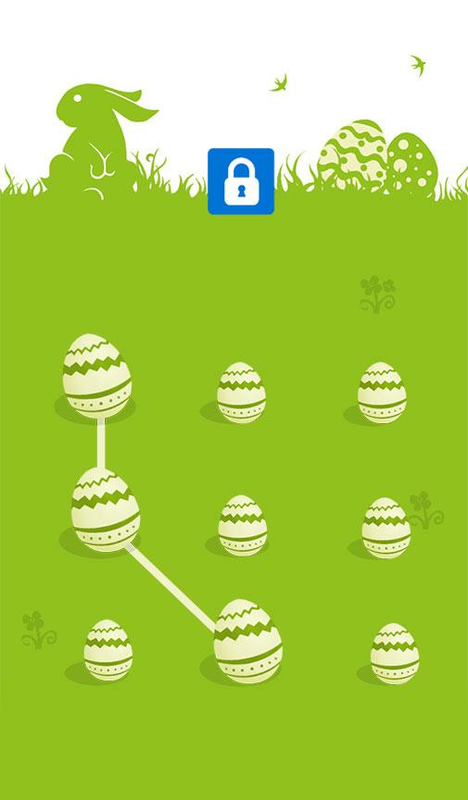 Easter applock theme as HD live wallpaper ismade to beautify applock screen and secure applock privacy. Freeapplock easter theme to customize your app lock and android screen,to protect your android phone privacy with easter livewallpaper. 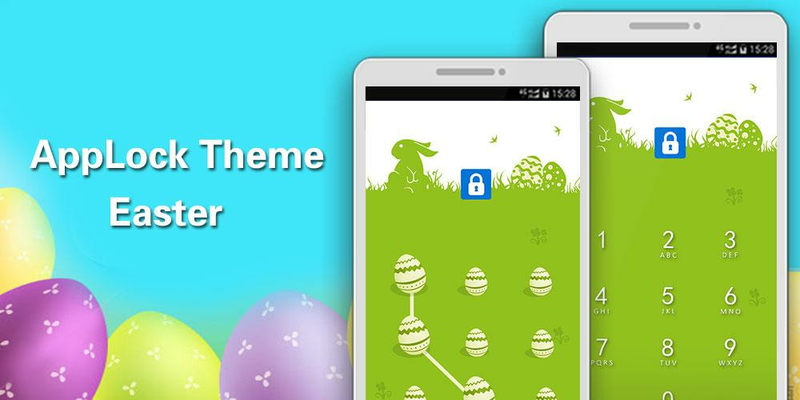 Applock theme easter is perfectly designed for applock. With easterlive wallpaper to lock individual apps, hide important files,encrypt sensitive and private pictures, videos, and protect yourandroid phone privacy away from intruders, snoopers and prying eyeswith numeric password as PIN code lock or star pattern lock.Applock theme easter supports Samsung S6, S6 edge, S7, Note 5,Galaxy series, A8, A9(2016) HTC One A5 A9 Xiaomi Huawei mate 8, p8,Nexus 5X, 6P and any other android operating system up 3.0. 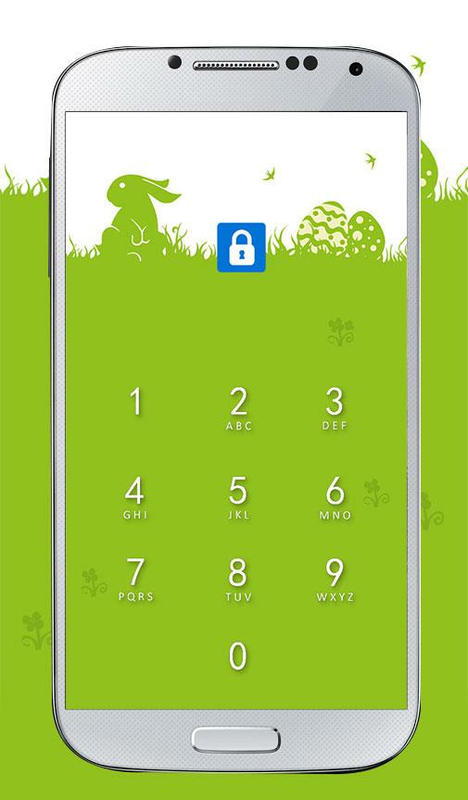 Applythis applock easter wallpaper to beautify app lock screen andsecure your android phone privacy with HD easter livewallpaper. 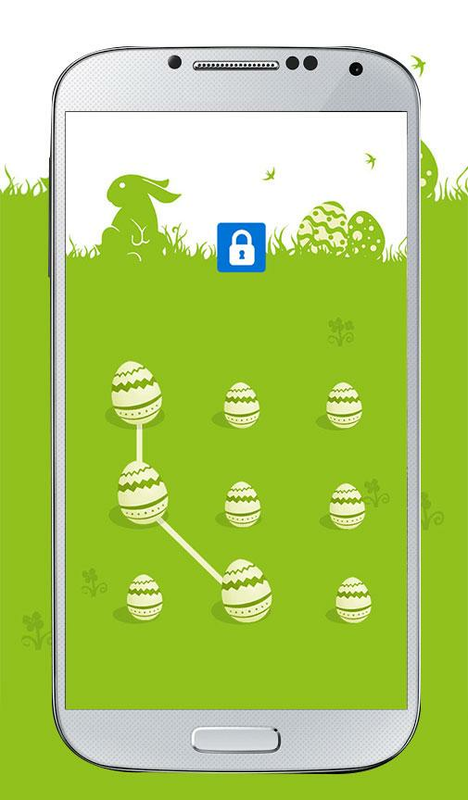 ★With applock theme easter, you won’t worry about your friendsborrow phone to play games. ★With applcok theme easter, you won’t worry your private data beread by some other apps. ★With applcok theme easter, your children won’t change phonesettings or mess up your data. No matter what kind of theme you like, we have tons of stunning andincredible themes and wallpaper like pet & animal, nature,love, vehicle, festival & holiday and so on. Also you can DIYyour own theme. ★ Vist the applock theme center to download galaxy theme , vampiretheme , fireflame, fools’ day theme, football theme , chocolatetheme and Aurora theme to decorate your screen wallpaper. New applock butterfly wallpaper to beautifyyour applock cover and secure your phone privacy with applockbutterfly theme. 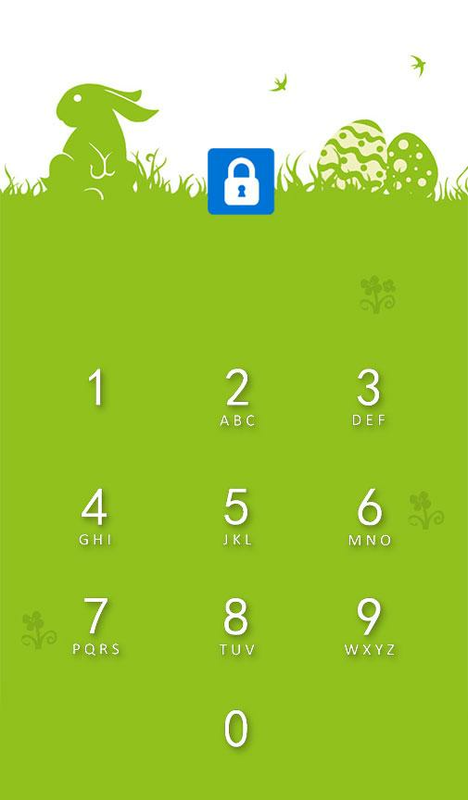 Free app lock butterfly theme to customize yourapp lock and android screen, to protect your android phone privacywith butterfly themeApplock theme butterfly is perfectly designed for applock password& pattern. With butterfly live wallpaper to lock individualapps, hide important files, encrypt sensitive and private pictures,videos, and protect your android phone privacy away from intruders,snoopers and prying eyes with numeric password as PIN code lock orpattern lock. Applock theme butterfly supports Samsung S6, S6 edge,S7, Note 5, Galaxy series, A8, A9(2016) HTC One A5 A9 Xiaomi Huaweimate 8, p8, Nexus 5X, 6P and any other android operating system up3.0. Install applock password & pattern pic to apply butterflywallpaper. The most powerful lock screen with elegant butterflytheme to secure your android phone privacy.Enjoy applock theme butterfly theme:-Optimized and beautiful HD butterfly wallpaper to decorate applockscreen-Fully customize android screen to apply stunning theme for bothapplock and home screen-Apply DIY applock theme to design your own wallpaper or you cantons of beautiful and coolest theme from theme center like galaxy,chocolate, aurora-Enable app lock butterfly theme, never tired of your androidscreenTo apply butterfly theme, you have to follow thses steps:-Apply butterfly theme after successfully install applock password& pattern-Set digits and draw pattern with butterfly wallpaper to protectprivacy-Safe vault to see your private and sensitive pictures,videos-Lock apps and hide pictures with PIN code, pattern or password, sophone privacy will be safeguarded inside applock butterflythemeNo matter what kind of theme you like, we have tons of stunningand incredible themes and wallpaper like pet & animal, nature,love, vehicle, festival & holiday and so on. Also you can DIYyour own theme:-DIY theme function allow you to be designer yourself and turn yourcreative ideas into unique themes right on your phone-DIY applock theme with your own photo or our beautiful wallpaperand delicate iconsApplock password & pattern your best security & privacyguard allows you to set numeric password or pattern lock to lockindividual apps preventing snooper or intruders from accessing orenabling information you want keep private.-Lock apps: lock Facebook, Instagram, WhatsApp, Messenger etc. awayfrom intruders-Lock Gallery and web browser to hide private pictures, videos andbrowsing history-PIN code or pattern lock, two types of password with differentapplock theme-Customize your lock mode, lock different apps under differentcircumstanceFeatures of applock password & pattern:-Private image: hide and encrypt your private photos. Lock themwith password lock or pattern lock-Private video: Hide and encrypt your private videos. Lock themwith password as PIN code or pattern-Lock cover: Disguise your lock screen as something else likecalculator, weather, Clock. Force Close & Finger Print screencover to confuse snoopers or intruders.-Prevent uninstall: After you enable Advanced Security feature,others are unable to delete this applock password & patternwithout your permission. This can better protect your privacy andsecret. New applock pink flower wallpaper to beautifyyour applock cover and secure your phone privacy with applock pinkflower theme. Free app lock pink flower theme to customize your applock and android screen, to protect your android phone privacy withpink flower themeApplock theme pink flower is perfectly designed for applockpassword & pattern. With pink flower live wallpaper to lockindividual apps, hide important files, encrypt sensitive andprivate pictures, videos, and protect your android phone privacyaway from intruders, snoopers and prying eyes with numeric passwordas PIN code lock or pattern lock. Applock theme pink flowersupports Samsung S6, S6 edge, S7, Note 5, Galaxy series, A8,A9(2016) HTC One A5 A9 Xiaomi Huawei mate 8, p8, Nexus 5X, 6P andany other android operating system up 3.0. Install applock password& pattern pic to apply pink flower wallpaper. The most powerfullock screen with elegant pink flower theme to secure your androidphone privacy.Enjoy applock theme pink flower theme:-Optimized and beautiful HD pink flower wallpaper to decorateapplock screen-Fully customize android screen to apply stunning theme for bothapplock and home screen-Apply DIY applock theme to design your own wallpaper or you cantons of beautiful and coolest theme from theme center like galaxy,chocolate, aurora-Enable app lock pink flower theme, never tired of your androidscreenTo apply pink flower theme, you have to follow thses steps:-Apply pink flower theme after successfully install applockpassword & pattern-Set digits and draw pattern with pink flower wallpaper to protectprivacy-Safe vault to see your private and sensitive pictures,videos-Lock apps and hide pictures with PIN code, pattern or password, sophone privacy will be safeguarded inside applock pink flowerthemeNo matter what kind of theme you like, we have tons of stunningand incredible themes and wallpaper like pet & animal, nature,love, vehicle, festival & holiday and so on. Also you can DIYyour own theme:-DIY theme function allow you to be designer yourself and turn yourcreative ideas into unique themes right on your phone-DIY applock theme with your own photo or our beautiful wallpaperand delicate iconsApplock password & pattern your best security & privacyguard allows you to set numeric password or pattern lock to lockindividual apps preventing snooper or intruders from accessing orenabling information you want keep private.-Lock apps: lock Facebook, Instagram, WhatsApp, Messenger etc. awayfrom intruders-Lock Gallery and web browser to hide private pictures, videos andbrowsing history-PIN code or pattern lock, two types of password with differentapplock theme-Customize your lock mode, lock different apps under differentcircumstanceFeatures of applock password & pattern:-Private image: hide and encrypt your private photos. Lock themwith password lock or pattern lock-Private video: Hide and encrypt your private videos. Lock themwith password as PIN code or pattern-Lock cover: Disguise your lock screen as something else likecalculator, weather, Clock. Force Close & Finger Print screencover to confuse snoopers or intruders.-Prevent uninstall: After you enable Advanced Security feature,others are unable to delete this applock password & patternwithout your permission. This can better protect your privacy andsecret. New applock marshmallow wallpaper to beautifyyour applock cover and secure your phone privacy with applockmarshmallow theme. Free app lock marshmallow theme to customizeyour app lock and android screen, to protect your android phoneprivacy with marshmallow themeApplock theme marshmallow is perfectly designed for applockpassword & pattern. With marshmallow live wallpaper to lockindividual apps, hide important files, encrypt sensitive andprivate pictures, videos, and protect your android phone privacyaway from intruders, snoopers and prying eyes with numeric passwordas PIN code lock or pattern lock. Applock theme marshmallowsupports Samsung S6, S6 edge, S7, Note 5, Galaxy series, A8,A9(2016) HTC One A5 A9 Xiaomi Huawei mate 8, p8, Nexus 5X, 6P andany other android operating system up 3.0. Install applock password& pattern pic to apply marshmallow wallpaper. The most powerfullock screen with elegant marshmallow theme to secure your androidphone privacy.Enjoy applock theme marshmallow theme:-Optimized and beautiful HD marshmallow wallpaper to decorateapplock screen-Fully customize android screen to apply stunning theme for bothapplock and home screen-Apply DIY applock theme to design your own wallpaper or you cantons of beautiful and coolest theme from theme center like galaxy,chocolate, aurora-Enable app lock marshmallow theme, never tired of your androidscreenTo apply marshmallow theme, you have to follow thses steps:-Apply marshmallow theme after successfully install applockpassword & pattern-Set digits and draw pattern with marshmallow wallpaper to protectprivacy-Safe vault to see your private and sensitive pictures,videos-Lock apps and hide pictures with PIN code, pattern or password, sophone privacy will be safeguarded inside applock marshmallowthemeNo matter what kind of theme you like, we have tons of stunningand incredible themes and wallpaper like pet & animal, nature,love, vehicle, festival & holiday and so on. Also you can DIYyour own theme:-DIY theme function allow you to be designer yourself and turn yourcreative ideas into unique themes right on your phone-DIY applock theme with your own photo or our beautiful wallpaperand delicate iconsApplock password & pattern your best security & privacyguard allows you to set numeric password or pattern lock to lockindividual apps preventing snooper or intruders from accessing orenabling information you want keep private.-Lock apps: lock Facebook, Instagram, WhatsApp, Messenger etc. awayfrom intruders-Lock Gallery and web browser to hide private pictures, videos andbrowsing history-PIN code or pattern lock, two types of password with differentapplock theme-Customize your lock mode, lock different apps under differentcircumstanceFeatures of applock password & pattern:-Private image: hide and encrypt your private photos. Lock themwith password lock or pattern lock-Private video: Hide and encrypt your private videos. Lock themwith password as PIN code or pattern-Lock cover: Disguise your lock screen as something else likecalculator, weather, Clock. Force Close & Finger Print screencover to confuse snoopers or intruders.-Prevent uninstall: After you enable Advanced Security feature,others are unable to delete this applock password & patternwithout your permission. This can better protect your privacy andsecret. Applock theme chocolate is made for App Locktochange applock screen to lock apps, hide sensitive photos andhotvideos with password lock or pattern lock. Sweet chocolatewallpaperto lock apps, morning dew password as pinpad, patternunlockwallpaper.★How to use applock theme chocolate ?1) Install Super AppLock to use the theme. Hit apply button toapplysweet chocolate dew theme2) If you have not installed AppLock, it will guide you toplaystore to install3) Apply the theme in applock theme center4) Change from pattern lock to password lock: you can changeinAppLock settings options.★With applock theme chocolate, you won’t worry about yourfriendsborrow phone to play games.★With applcok theme chocolate, colleagues cannot check yourprivatephone information★With applcok theme chocolate, you won’t worry your private databeread by some other apps.★With applcok theme chocolate, your children won’t changephonesettings or mess up your data.★Super AppLock is your best privacy guard- Lock Instagram, lock WhatsApp, and Facebook, Messengerfromintruders- Hide Gallery and web browser to protect sensitive photosandprivate browsing history- Prevent kids from buying in the store or changing systemsettingsmessy★Enable AppLock Fingerprint prankProtect your locked apps with fingerprint scanSupport android devices android 3+:-Galaxy S6 edge, Note 5, A8, A9(2016)-HTC One A9 Xiaomi-Huawei mate 8 p8-Nexus 5X, 6P★Enable AppLock Intruder Selfie to catch snoopers- Take selfie of intruders who entered wrong passwords1-5times- Capture intruder selfie and they nowhere to hide their face★Support AppLock hide private chats- Lock your chat Apps, SMS Whatsapp and Facebook messengerandmore- Hide private text, lock chat history and recenthistoryrecord- Lock file: support lock sensitive sound record, photos★Private Photo vault and video vault- Lock photos into safe vault- Lock sensitive video in video vault, hide videos- Move files into file vault, lock private files up, includingsoundrecordAppLock themechocolate features:★ Lock apps using pinpad / password / pattern★ Lock with beautiful deep forest dew buttons and wallpaperasapplock themeMore applock theme free to use:★ Vist the applock theme center to download galaxy theme ,vampiretheme , fireflame, fools’ day theme, football theme ,chocolatetheme and Aurora theme to decorate your screenwallpaper. AppLock Theme rose is beautiful and securityApp Lock theme for AppLock , Applock rose theme made for app locksecurity prank is to beautify and decorate your android app lockscreen, to protect and backup your important files, lock apps, hideprivate photo, secret videos inside app lock with Rose theme. ApplyRose theme to personalize android screen and secure your phoneprivacy with PIN code as password lock or image pattern lock.Applock Theme Rose works perfectly on samsung s6, galaxy s7 andother android devices. Install super applock to change lock screeninto Rose style. Lock your private files, lock apps, hide picturesor videos in safe vault with Rose digits password or aquatic Roseimage.The most powerful lock screen with live wallpaper themes,yourbest security guard Applock .With applock rose theme , you are able to:choose applock theme : lock SNS apps: such as Facebook,Instagram, Twitter, Gmail, WhatsApp etc.choose applock theme : lock apps with privacy contents, suchas photos, videos, SMS or call logchoose applock theme :lock system settings, lock incomingcalls, install/uninstall apps to keep phone away from being messedup by others or kids★Enjoy Applock theme Rose-perfect rose wallpapers HD and applock functions-More marvelous themes : Abstract, Cartoon, Animals, Sports,Nature, 3D, Holidays, Minimal, Cities - you will find everythingfrom funny photos and cute wallpapers to minimalistic and abstractpictures-Super fast customization: create a stylish look for both your Home& Lock Screen with just one tap-Quick loading: download wallpapers in one touch-beautiful wallpapers : never get bored with your screen★How to apply this Rose theme to your android?-You need to install super applock and apply the applocktheme.-Open the applock theme,click apply, you will see the app coverchanged into Rose style.-Enter your password or pattern, then you will be able to unlockapps safe.-View your photo and video in safe vault. Keep them away fromprying eyes.-And you can also DIY theme, apply your own photos to be theapplock screen.-Lock apps with password or pattern lock, so your privacy will besafely guard inside.★Enable applock theme rose to stop friends mess up your gameprocessEnable applock theme rose to protect privacy from ex girlfriendboyfriend easilyEnable applock theme rose to move private data into photovaultEnable applock theme rose to stop nosy snoopers and gossipgirls★ Super applock privacy lock is your best privacy guard- Lock instagram, lock WhatsApp, lock Facebook, Messenger fromintruders- Hide Gallery and web browser to protect sensitive photos andprivate browsing history- Prevent children from buying items or making unnecessary phonecalls- Protect private text from nosy parents , no sexting★Enable super AppLock fake disguise functionPretend that locked apps require fingerprint scan . Prepare thisfor Fool's day prank .Support android devices Android 3+ lollipop and marshmellow-Galaxy S6 , S7 Note 5, A8, A9(2016) HTC One A5 A9 Xiaomi Huaweimate 8 p8 Nexus 5X, 6P★ Enable super AppLock intruder Selfie function to capturesnoopers- Take selfie of intruders who entered wrong passwords 1-5times- Capture intruder selfie and they no where to hide their faceAppLock theme rose features:★ Lock apps using Rose pinpad / password / pattern★ Lock with beautiful pink rose buttons and wallpaper★ Rose Wallpaper HD for more securityMore applock theme free to use :★ Vist the applock theme center to download galaxy theme , vampiretheme , fireflame, fool’s day theme, football theme,chocolate themeand Aurora theme to decorate your screen wallpaper.Free personalized themes designed for you! If you fancy style oficons and wallpapers, just drop anna email: [email protected] will design it for our fans for free.Install this screen lock for android now, change applcok theme intoRose style. AppLock Theme Pink Romantic is beautifulandsecurity App Lock theme for AppLock , Applock Pink Romanticthememade for app lock security prank is to beautify and decorateyourandroid app lock screen, to protect and backup yourimportantfiles, lock apps, hide private photo, secret videos insideapp lockwith Pink Romantic theme. Apply Pink Romantic theme topersonalizeandroid screen and secure your phone privacy with PINcode aspassword lock or image pattern lock.With applock Pink Romantic theme , you are able to:choose applock theme : lock SNS apps: such asFacebook,Instagram, Twitter, Gmail, WhatsApp etc.choose applock theme : lock apps with privacy contents,suchas photos, videos, SMS or call logchoose applock theme :lock system settings, lockincomingcalls, install/uninstall apps to keep phone away from beingmessedup by others or kidsHow to apply Pink Romantic theme to your app lock?-Install app lock security first and then change your applockscreen into Pink Romantic theme-Draw image pattern button or set your own pin codeaspassword-Apply DIY app lock theme to design your applock screen coveroraurora, lavender, galaxy, Pink Romantic theme areselectableWith Pink Romantic theme for app lock:- DIY app lock theme : Personalize and beautify your applockscreen- DIY app lock theme : No longer worry about parents orkidscheck your SMS, gallery, Facebook status, or mess up yoursettings,install or uninstall apps- DIY app lock theme : No longer worry aboutyourgirlfriend/boyfriend check out recent calling, private SMSorprivate photo, videos- DIY app lock theme : No longer worry about yourfriendscheck your information or privacy contents when let them useyourphoneApplock security scan:-quick scan your phone privacy status and find out phonepotentialprivacy problems-Scan your unlocked apps, videos and photos-Clear tutorials to lock apps and hide sensitive picturesandvideosLock markets: lock markets and games to prevent yourkidsfrom obsessed with games or purchasing in marketsApplock safe vault:-Hide photos, videos inside safe vault, move files intofilevault-Mobile contact information, call log or even SMS can also belockedinside app lock security prankApplock advanced fake cover:-Apply applock icon like clock, weather or calculator to replacetheoriginal one disguising snooper and prying eyes-Apply fake cover like force close or finger print toconfuseintruders from snooping around your phone privacyApplock intruder selfie:Enable intruder selfie to capture snoopers when entering invalidPINlock, pattern lock or password lockApply Pink Romantic applock theme to personalize and beautifyapplock screen, to lock apps, hide private photo, videos insideapplock with green deep forest password, PIN or pattern lock. AppLock Password Pattern Master is a freeprofessional applock for android , privacy guard with beautifuldesign . An ideal applocker to protect apps and secure privacy safeusing password lock or pattern lock , make your app lock screensolid safe with password access, only you will be able to entersensitive apps and photos . You can also protect sensitive soundrecord by using lock file function.★Enjoy applock features free1) lock installed apps and system apps with password lock2) use pattern / digits password to protect your apps, up to 10digits as password3) Lock SMS, game, gmail, contact, note, lock facebook, etc.4) lock incoming call , prevent others picking up private phonecall5) lock system UI using lock recent apps feature . No one will seeyour recent app history6) set personal profile lock : customize your profile page lockdifferent apps7) app fake cover to confuse snoopers, a lot of fun withapplocker8) replace app lock icon with weather, calculator or alarm clockfor more security protection .9) personal settings:* change passwords in the settings into password or pattern* brief exit time setting: set lock frequency on your ownchoice* random passwords to protect from peeping eyes* hide pattern draw path to secure your pattern passcode* lock new apps when new apps installed , easy privacy* up to 10 digits pinpad10) catch intruder selfie : take pictures of intruders when wrongpassword entered-----------FAQ---------1)How to create my pinpad / pattern lock ?Choose apps to lock and choose recommend appsOpen Applock and enter your password or pattern, follow thesteps.2) How to change password or pattern ?Enter applock settings ,The second option : reset passwordAt the bottom, use password or use pattern , tap the bottonThen you can create your new password or pattern lock . AppLock Theme Goal Football is beautiful andsecurity App Lock theme for AppLock , Applock Goal Football thememade for app lock security prank is to beautify and decorate yourandroid app lock screen, to protect and backup your importantfiles, lock apps, hide private photo, secret videos inside app lockwith Goal Football theme. Apply Goal Football theme to personalizeandroid screen and secure your phone privacy with PIN code aspassword lock or image pattern lock.With applock Goal Football theme , you are able to:choose applock theme : lock SNS apps: such as Facebook,Instagram, Twitter, Gmail, WhatsApp etc.choose applock theme : lock apps with privacy contents, suchas photos, videos, SMS or call logchoose applock theme :lock system settings, lock incomingcalls, install/uninstall apps to keep phone away from being messedup by others or kidsHow to apply Goal Football theme to your app lock?-Install app lock security first and then change your app lockscreen into Goal Football theme-Draw image pattern button or set your own pin code aspassword-Apply DIY app lock theme to design your applock screen cover oraurora, lavender, galaxy, Goal Football theme are selectableWith Goal Football theme for app lock:- DIY app lock theme : Personalize and beautify your applock screen- DIY app lock theme : No longer worry about parents or kidscheck your SMS, gallery, Facebook status, or mess up your settings,install or uninstall apps- DIY app lock theme : No longer worry about yourgirlfriend/boyfriend check out recent calling, private SMS orprivate photo, videos- DIY app lock theme : No longer worry about your friendscheck your information or privacy contents when let them use yourphoneApplock security scan:-quick scan your phone privacy status and find out phone potentialprivacy problems-Scan your unlocked apps, videos and photos-Clear tutorials to lock apps and hide sensitive pictures andvideosLock markets: lock markets and games to prevent your kidsfrom obsessed with games or purchasing in marketsApplock safe vault:-Hide photos, videos inside safe vault, move files into filevault-Mobile contact information, call log or even SMS can also belocked inside app lock security prankApplock advanced fake cover:-Apply applock icon like clock, weather or calculator to replacethe original one disguising snooper and prying eyes-Apply fake cover like force close or finger print to confuseintruders from snooping around your phone privacyApplock intruder selfie:Enable intruder selfie to capture snoopers when entering invalidPIN lock, pattern lock or password lockApply Goal Football applock theme to personalize and beautify applock screen, to lock apps, hide private photo, videos inside applock with Goal Football deep forest password, PIN or patternlock. Applock Kisses theme made for app locksecurity prank is to beautify and decorate your android app lockscreen, to protect and backup your important files, lock apps, hideprivate photo, secret videos inside app lock with deep foresttheme. Apply Kisses theme to personalize android screen and secureyour phone privacy with PIN code as password lock or image patternlock.With applock Kiss love theme , you are able to:choose applock theme : lock SNS apps: such as Facebook,Instagram, Twitter, Gmail, WhatsApp etc.choose applock theme : lock apps with privacy contents, suchas photos, videos, SMS or call logchoose applock theme :lock system settings, lock incomingcalls, install/uninstall apps to keep phone away from being messedup by others or kidsHow to apply Kisses theme to your app lock?-Install app lock security first and then change your app lockscreen into Kisses theme-Draw image pattern button or set your own pin code aspassword-Apply DIY app lock theme to design your applock screen cover oraurora, lavender, galaxy, kisses theme are selectableWith Kiss love theme for app lock:- DIY app lock theme : Personalize and beautify your applock screen- DIY app lock theme : No longer worry about parents or kidscheck your SMS, gallery, Facebook status, or mess up your settings,install or uninstall apps- DIY app lock theme : No longer worry about yourgirlfriend/boyfriend check out recent calling, private SMS orprivate photo, videos- DIY app lock theme : No longer worry about your friendscheck your information or privacy contents when let them use yourphoneApplock security scan:-quick scan your phone privacy status and find out phone potentialprivacy problems-Scan your unlocked apps, videos and photos-Clear tutorials to lock apps and hide sensitive pictures andvideosLock markets: lock markets and games to prevent your kidsfrom obsessed with games or purchasing in marketsApplock safe vault:-Hide photos, videos inside safe vault, move files into filevault-Mobile contact information, call log or even SMS can also belocked inside app lock security prankApplock advanced fake cover:-Apply applock icon like clock, weather or calculator to replacethe original one disguising snooper and prying eyes-Apply fake cover like force close or finger print to confuseintruders from snooping around your phone privacyApplock intruder selfie:Enable intruder selfie to capture snoopers when entering invalidPIN lock, pattern lock or password lockApply Kisses theme to personalize and beautify app lock screen, tolock apps, hide private photo, videos inside app lock with greendeep forest password, PIN or pattern lock.